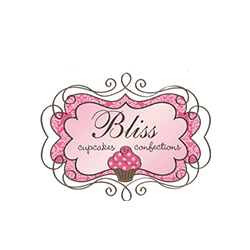 Bliss Cupcakes & Confections is not just another cupcake shop! We are changing the ordinary into extraordinary and redefining the cupcake experience. You decide what your personal Bliss is! Design your very own cupcake by choosing from one of our daily available cake flavors, fluffy fillings, creamy icings, and delicious toppings. But don't stop there, make it pure Bliss, add a scoop of ice cream and your cupcake becomes a complete dessert served in a waffle bowl. Our menu is full of delicious and exciting flavors as well as options you won't find anywhere else.